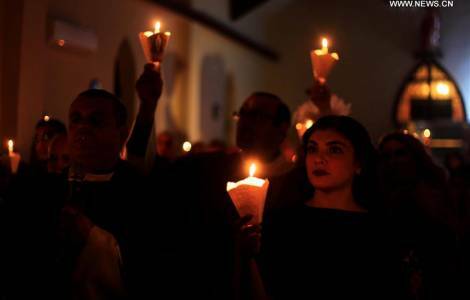 Amman (Agenzia Fides) - Bishops and Heads of Churches present in the Hascemite Kingdom of Jordan have invited their fellow citizens to take part in a silent procession with candles to publicly express the common disapproval of the decision taken by the US Administration of America to transfer its embassy in Israel from Tel Aviv to Jerusalem. The procession will start on Wednesday, December 13, 2017 at 6pm from the Greek Orthodox Cathedral to the Catholic church dedicated to Mary of Nazareth. During the procession, all the church bells scattered on the territory of the Kingdom will ring simultaneously.